One way or another they will get their minds right. Update to this story. 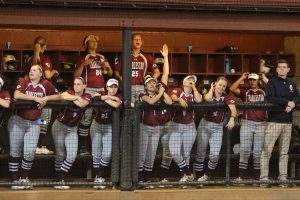 Here we go again: Members of the College of Charleston softball will have to endure “diversity and inclusion” training after they donned “racially insensitive” Halloween costumes. Three students dressed up as “Hispanics with mustaches and cowboy hats” and two others as Border Patrol agents according to WCSC-5. Outraged ensued after a picture of the quintet was posted on Twitter (since taken down). The group actually won second prize in an “informal” costume contest. He added “now comes the hard part: where we put action to words and make meaningful change” and said the offenders will be forced into diversity and inclusion training next week.